Toyota Motor Corp. is tossing aside a reliable but aging compact recipe by adding room, refinement, and bolder styling to the redesigned Corolla. The venerable Corolla, the best-selling nameplate in the world and a longtime gateway to the Toyota brand for many buyers, has been consistently vanilla and a reliable quantity, with close to 40 million copies sold to date globally. But more stylish rivals have loosened Toyota's grip on the sizable U.S. compact car market, drawing younger buyers and forcing the company to change gears. The redesigned Corolla is also bigger. With nearly four inches added to the wheelbase, and nearly three inches added to its overall length, the new version is three inches longer than the Civic and four inches longer than the Focus, further blurring the lines of what is considered a compact car. The 11th-generation Corolla was created with what Toyota describes as striking, "iconic dynamism" exterior styling to more directly challenge chic-and-cheerful compact sedans from Ford (Focus), Hyundai (Elantra) and Mazda (Mazda3). It was introduced in Santa Monica, Calif., Thursday evening. "The current Corolla is fine, but this car has been elevated to appeal to a broader audience," Toyota Division general manager Bill Fay said in an interview. "We built the Toyota brand with Corolla, and with Corolla's [quality, dependability and reliability] story. With this car, there's a lot to talk about, there's more to work with. This is not the Corolla you expect." Toyota will begin wholesaling the new Corolla to U.S. dealers in September. Fay believes the redesigned model can easily break the 300,000-unit mark in annual U.S. sales, a milestone last reached in 2008, when Corolla Matrix sales were included. Last year marked the first time since 2002 that the Corolla wasn't the best-selling compact car in the United States. It was outsold by the heavily incentivized Honda Civic, 317,909 units to 290,947. So far through May, Corolla has regained the lead over Civic, 132,514 to 128,980, although Honda says it still has the lead in retail registrations to individuals. Still, Corolla sales have fallen worldwide from a peak of 1.42 million units in 2006 as the Civic, Elantra, Focus and other competitors have attracted consumers with better fuel economy, lower prices and more dynamic styling. The sportier 2014 Corolla echoes design elements for sheet metal, headlights and grille from the current Focus, Elantra and Mazda3. Its pricing and success on the showroom floor will help determine how profitable Toyota is in future years, as well. In terms of styling, while it's dangerous to be too conservative, "Toyota has shown you can be conservative in a segment and still be successful," said Jim Hall, principal of 2953 Analytics in suburban Detroit. "The details don't make or break a car. It's how it works as a whole that is why the Corolla has been successful." Last redesigned in spring 2008, the Corolla is again on a five-year product cycle. The last time around, Toyota delayed the Corolla by more than a year -- to a six-year span -- after being caught off guard by competitors' much-improved products. The current Corolla -- with a 27 mpg city/34 highway rating -- trails the 39 and 40 mpg highway fuel economy ratings on rival compacts. The 2014 base Corolla will carry over a 1.8-liter, 132 hp four-cylinder engine. But an optional Eco 1.8-liter engine will be available with 140 hp and highway fuel economy estimated to be above 40 mpg. The base Corolla L will be offered with a carryover four-speed automatic transmission or a six-speed manual transmission. Those transmissions will represent a small percentage of Corolla sales. For the vast majority of the lineup, the 2014 Corolla will be equipped with a continuously variable transmission, the first CVT offered by Toyota in North America. Because many drivers dislike the "rubber band" feel of CVT pulleys searching for the optimal power-to-economy ratio, the Corolla CVT will have preset steps to behave more like an automatic transmission. 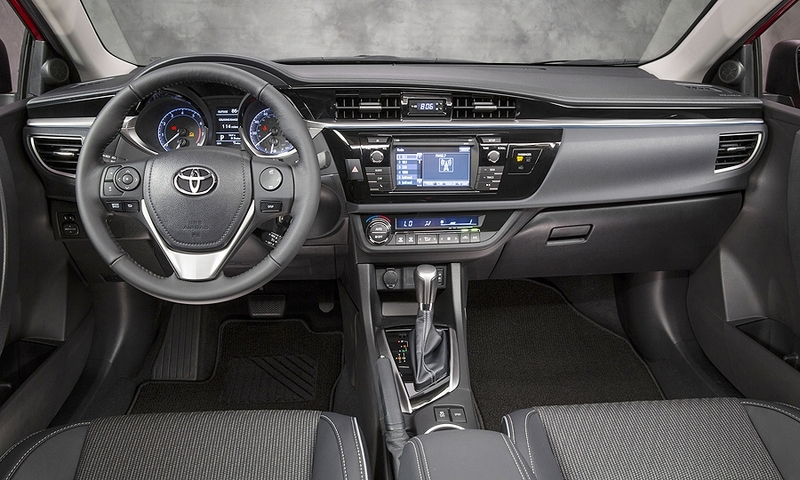 Toyota says the interior is quieter with the addition of an acoustic glass windscreen, improved floor carpet insulation, an instrument panel seal between the cowl and the windshield, a fender sound insulator and an inner dash silencer pad. Inside, much of the extended wheelbase has been used to expand the rear-seat area, with nearly three more inches of legroom in the back. Standard features for all Corollas will include Bluetooth, eight airbags, air conditioning, in-glass AM/FM antenna, 60/40 split fold-down rear seat, color-keyed outside door handles and mirrors, power door locks and windows with driver-side one-touch up/down, LED low-beam headlamps and daytime running lights. The Corolla will maintain its current front MacPherson strut and rear torsion beam suspension setup -- although there have been changes to suspension geometry and spring rate and bushing settings. The front and rear brakes are slightly larger, with optional solid discs in the back. 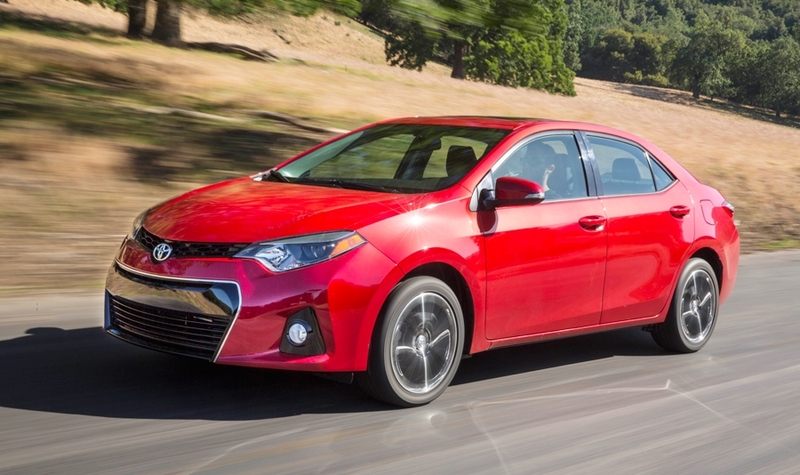 As the current Corolla has aged, fleet sales have been on the rise, according to data from Edmunds.com. 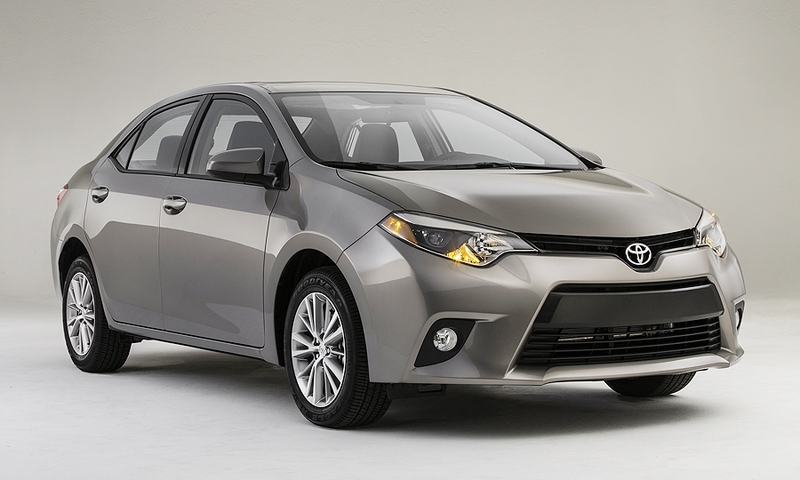 Fleet sales are estimated to make up 23 percent of Corolla's sales mix in 2013, almost double the rate from five years ago. It also has a higher concentration of fleet sales than all of its compact competitors except the Focus, according to Edmunds. The Corolla buyer skews more toward female, married and urban buyers than the rest of the compact segment, according to demographic data from consultancy AutoPacific. Corolla buyers also tend to be less educated and earn less money than consumers who buy other cars in the segment. The Corolla is more popular among growing minority groups, notably Hispanics. 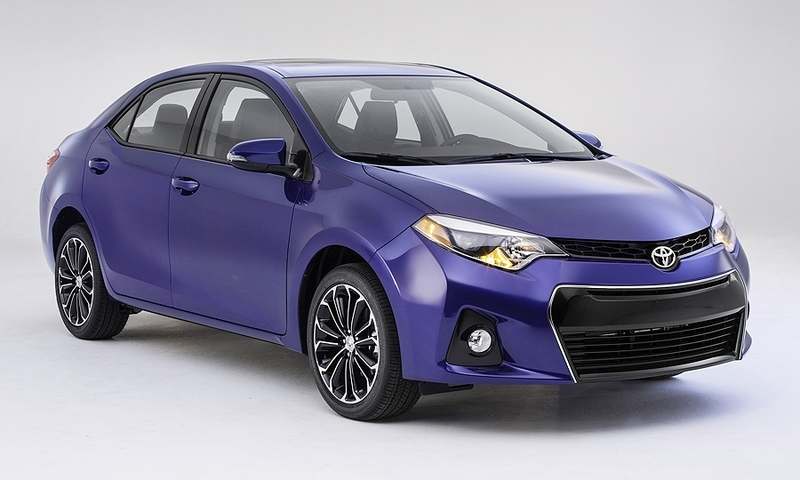 With the new Corolla, Toyota is also going to have to make inroads with online shoppers. According to Edmunds, more Corolla shoppers consider rival vehicles than vice versa, across every compact nameplate. For instance, while 27 percent of Corolla shoppers also looked at the Civic, only 11 percent of Civic shoppers also considered a Corolla. One unanswered question is whether the Corolla's sibling vehicle -- the Matrix five-door hatchback -- will remain in the lineup. The Matrix was added to the Toyota stable in 2002 and initially constituted 15 percent or more of the Corolla sales mix. But sources within Toyota say the Matrix represents well below 10 percent of sales today. Hints from executives indicate the Matrix will not be reloaded. 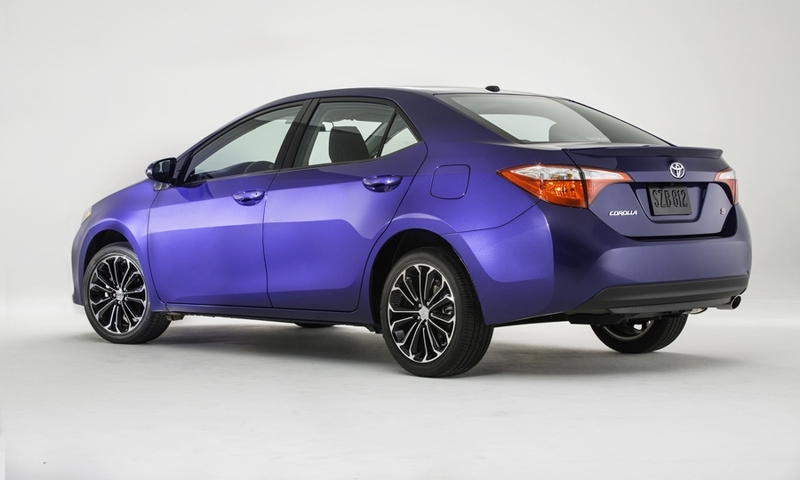 Pricing will be announced closer to the fall date when the 2014 Corolla goes on sale.